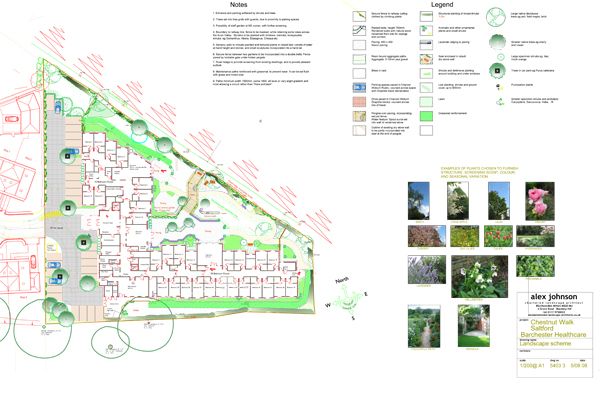 This landscape scheme was developed in association with Mistral Architects. The building forms an L - shape, which allows a contained and sheltered garden, which many rooms have direct access to. The garden provides secluded places for rest and contemplation, paths for gentle excercise, and planting which provides interest and scent all through the year.